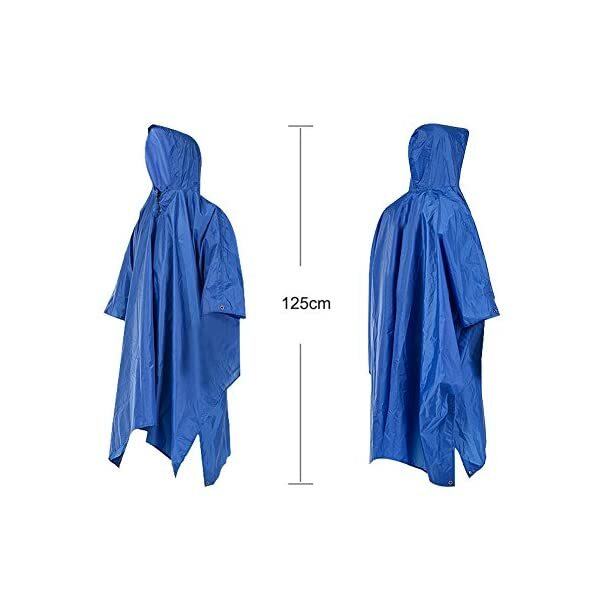 Why we chose this poncho: Staying warm and dry is critical to survival, and this poncho has 100% 5-star ratings. 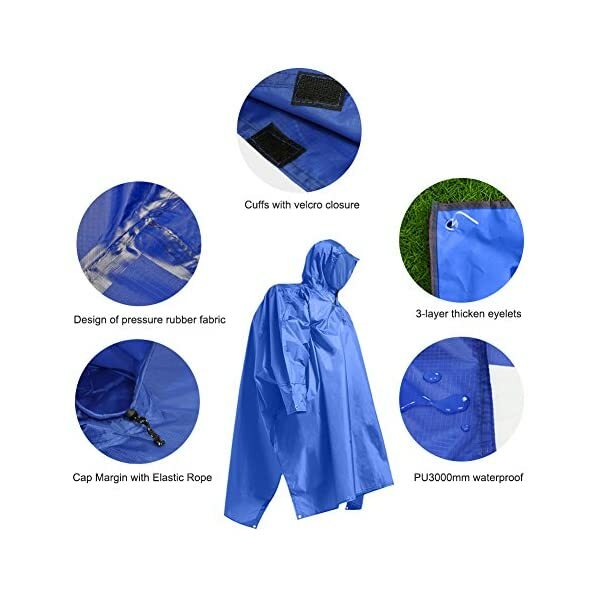 It is rugged, well-designed and durable, plus it can be used in a variety of ways – as a raincoat, camping mat, or canopy shelter to block sunshine. 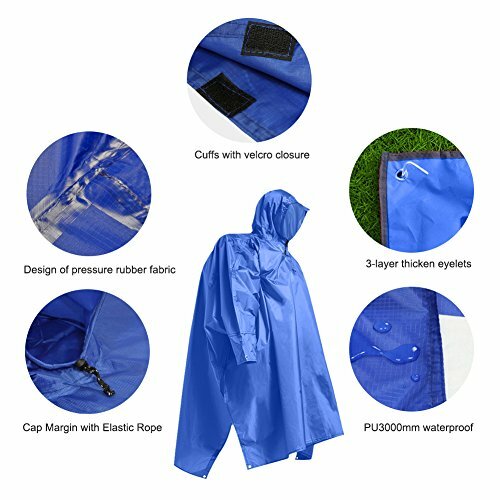 It's got velcro to seal up the arms and grommet holes so you can use it as a canopy. It's ultra lightweight, folds easily and packs into your GoBag. One size fits all. 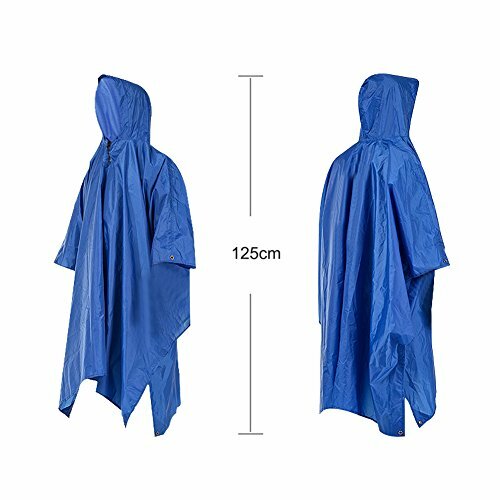 3 in 1: Our rain poncho can be utilized as a raincoat, camping mat, canopy shelter to block sunshine. Use for pinic,mountaineering,hiking,fishing and so on.out of doors activities. 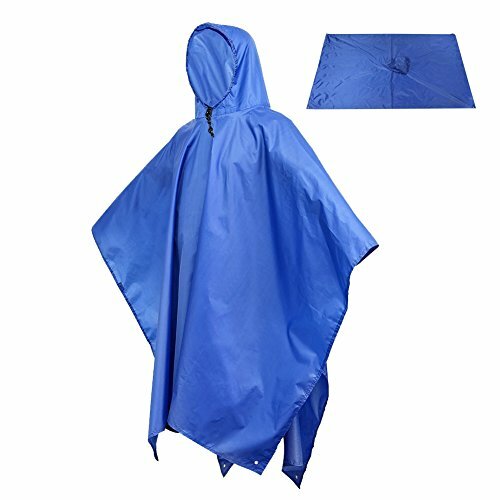 Material: Made of 210T polyester with water-proof,block sunshine & wind,which is more durable and washable than others. 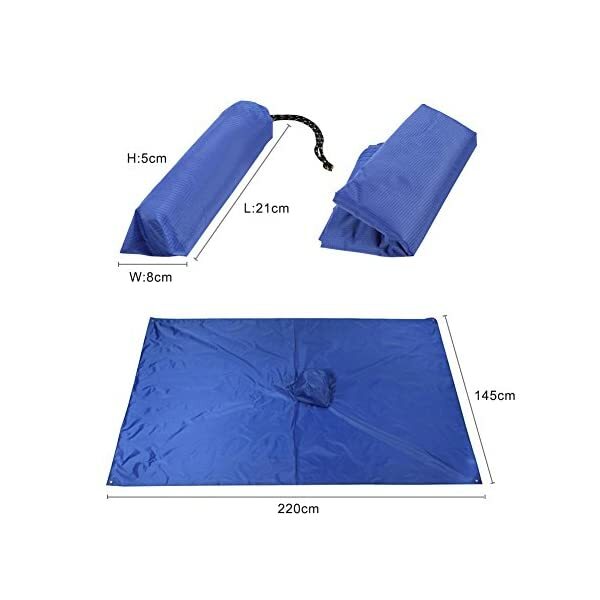 Portable: Easily folds and packs into the quality storage bag, ultra lightweight and convenient to hold. 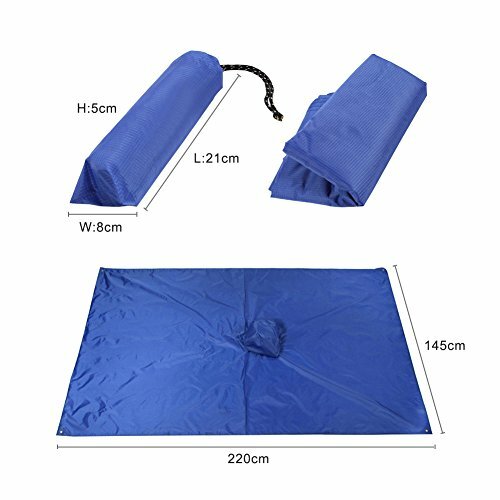 Folded size: 8 * 21cm/3.15″ * 8.27″/Unfolded size: 220 cm * 145 cm/86.6″ * 57.09″. Practise:Elastic drawstring closure at the collar, sticky fastener tape on both sides, easy to wear and take off. Personalized design: four holes in corners were designed for nails. 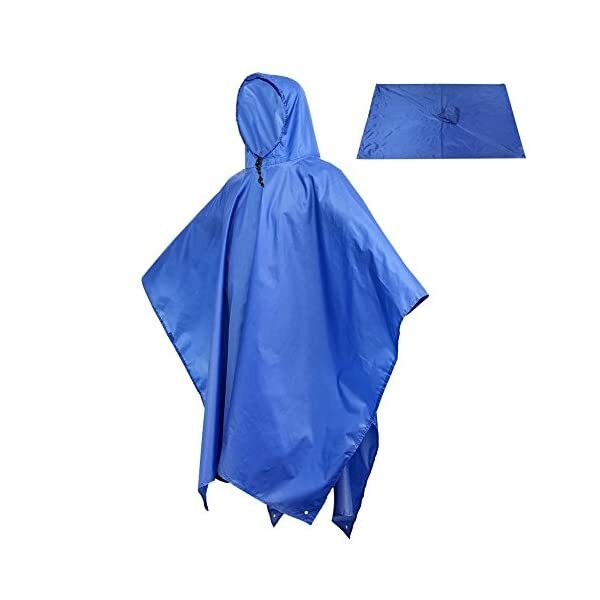 It would fix the raincoat blanket mat when it’s as camping mat. If any question, please feel free to contact us. Email: zhuosilang5202017@outlook.com.